Bangladesh Jute Research Institute (BJRI) Published New Notice about BJRI Job Circular 2019 . BJRI Admit Card, Job Result and Viva Date updated by www.bjri.gov.bd. Candidate can easily complete their BJRI job application through http://bjri.teletalk.com.bd. So Don`t waste your time to apply BJRI Job circular if you are qualified. You must have to apply before 24 March 2019 (05.00 PM). 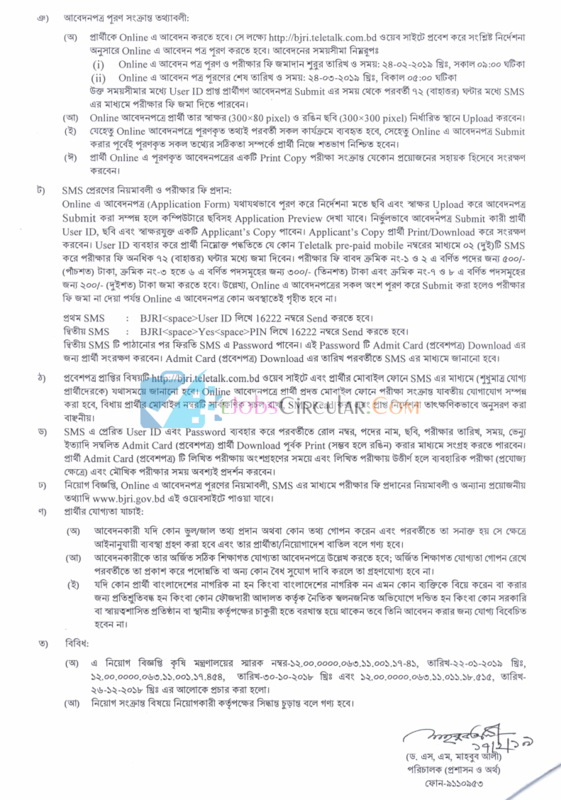 This entry was posted in bd jobs today, Govt Jobs 2019 and tagged Admit card Download, bjri.teletalk.com.bd ( Job Application Form), Govt. jobs, http://bjri.teletalk.com.bd, Online job applications forms, written exam by ejobscircular. Bookmark the permalink.